Boondocking is not brain surgery. Anyone can camp overnight without hookups. Two or three days takes a little effort — no, not effort but common sense in the use of your resources. What resources? Electricity and how fast you deplete it from your batteries, drinking water and how much you waste, and that resultant waste water filling up your gray water tank. Filling the black tank is usually not a restricting factor. 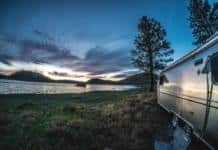 Where boondocking requires a bit more effort, more creative thinking, more conservation, and more planning — the art and skill of boondocking — is in extending your boondocking days. Getting as many days “our there” as you can squeeze in between having to pack up camp and drive off to replenish electricity (charging your batteries), fill your water tank, and dump your waste tanks. Staying out longer, and doing it comfortable, is what makes a boondocker happy. It also takes experience. Every time you boondock, you learn a new trick or two to extend your stay. Simple, common sense acts — that with experience become second nature — like not letting your faucets run, taking Navy showers, re-using the water you run when waiting for hot water to come, reducing the amount of waste water you let flow into your gray tank, turning off lights and TV when not being used — this bag of tricks — are what makes boondocking a successful and fun way to camp. Look at it this way. If you were just as comfortable without hookups as you were with them, where would you rather camp. With neighbors within 15 or feet on either side of you, or would you choose campsites where your nearest neighbors were 50 or 100 feet away. Or you had no neighbors at all. That’s the beauty of boondocking. 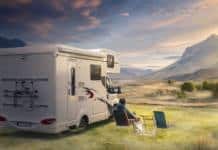 Once you learn the tips and tricks, your options are endless — from a crowded LTVA at Quartzsite to a solitary campsite with sweeping vistas and no sign of civilization in sight. Previous articleEver felt your life was in danger from bad guys? Years ago Key West did not police parking meters from Christmas to New Years Day. We would go down, take two spaces next to the beach, stay all week! Bath house on beach had facilities, so no water or tank concerns. Those were the days! We only camp in developed campgrounds when we’re with friends who feel they need to do so or when we’re traveling in relatively developed areas we’re not familiar with. Otherwise, we’re as far from anybody as we can get (and since we have a slide-in camper on a four-wheel-drive pickup, that’s often pretty darned far). From the ideal spot, we see a million acres of scenery during the day and not a single light at night. When you can get *that* experience, the inconveniences of saving water and power become a small concern, indeed. I liked your March 29 article about using common sense when boondocking. A major frustration for me is all the water that is wasted waiting for hot water at the kitchen sink. Someone suggested an under sink instant hot water faucet. Do you know of one that ties into the existing plumbing? I would like a system where the hot water flows directly through the faucet with the cold water rather than a stand alone faucet? Thank you for any information you might be able to provide. Don’t give away all the secrets! We haven’t tried the LTVA areas near Quartzsite. We HAVE used the two week areas, which are free. They generally aren’t crowded (except during the Big Tent affair) and neighbors can be blocks away. Since there are several of them, we can move to another once the two week limit is reached. Love it down there!